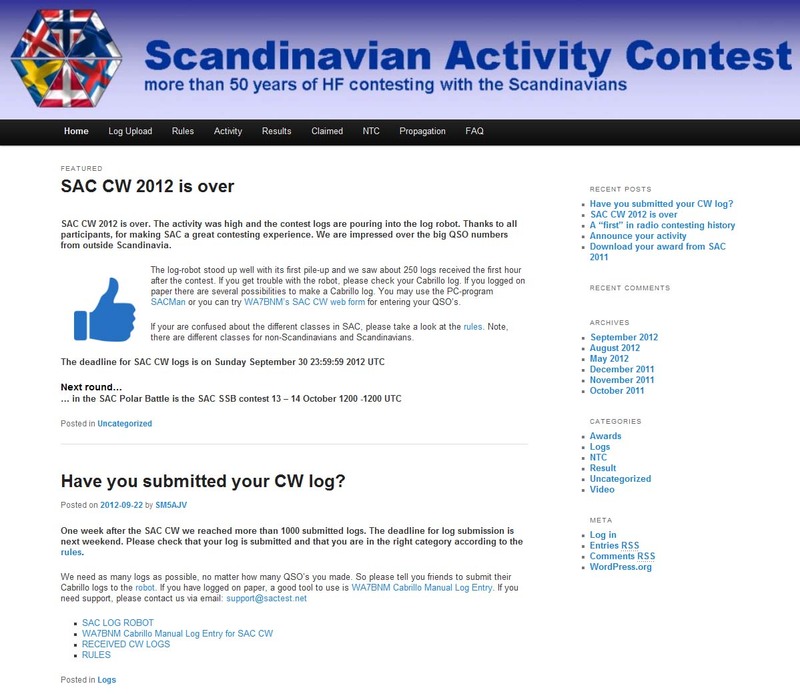 Posted: September 30th, 2012 under Contesting, DX, Hamradio, Iota, Soundclips. Little radio since last time, though I have a short report here. Since last time, I worked RW0BG/9 in AS-109 for a new iota. R7LP/0 was also worked but I’m not 100% sure on this iota. I think it is AS-149. If it is, I worked it once before. OZ3FYN/p was worked from EU-172 as a new iota. I have probably worked it before, but it wasn’t logged. UA0ZC/p was worked from AS-095 and was a new iota. NH8S (Swains) was worked on 20/30M CW, 20M SSB and 17M RTTY. 30M and 17M were new bands and SSB and RTTY were new modes. 4O7TC was worked on 17M CW for a new dxcc on 17M. The Scandinavian Activity Contest was on 2 weeks ago on CW. I didn’t intend to participate, but did listen on the bands on Saturday evening. The bands seemed quite good and I gave it a shot. The fun thing was watching Reverse Beacon Network at the same time to see where I could be heard. It was very interesting and really added a new dimension to the experience. I only worked around 5 hours and had quite a pile-up from time to time. Below is my small report for a few hours of work. I felt quite rusty at first, but quickly gained back the contesting and pile-up feeling.